One of the last bastions of culinary brilliance is moving. This would be our final get together and meal as Chef Choi will be relocating to its new premises on the 21st of March. The good news is that it’s going to sport a spanking new concept just further up the road, along Jalan Ampang. After holding the fort for 12 great years, Chef owner Chan Thye Seng, has decided to sell this place to a developer – we feel a little nostalgic and will definitely miss this wonderful restaurant that’s been almost like a second home to us, but we definitely look towards the new! 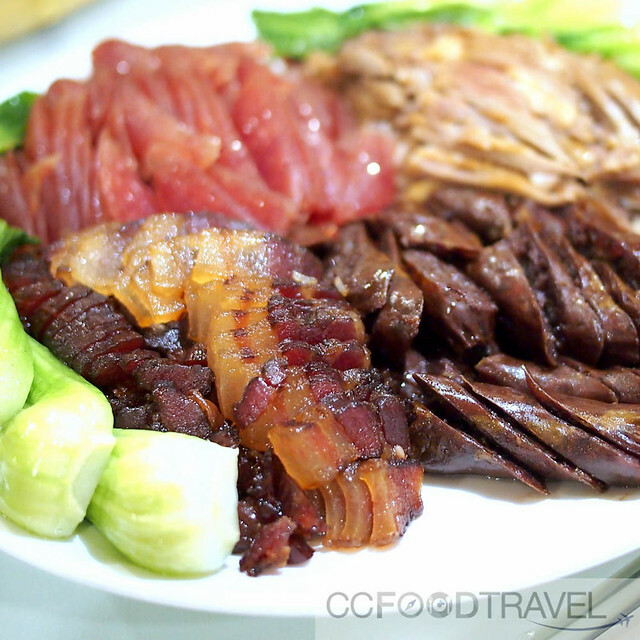 Watch this spot of updates on the NEW Chef Choi. 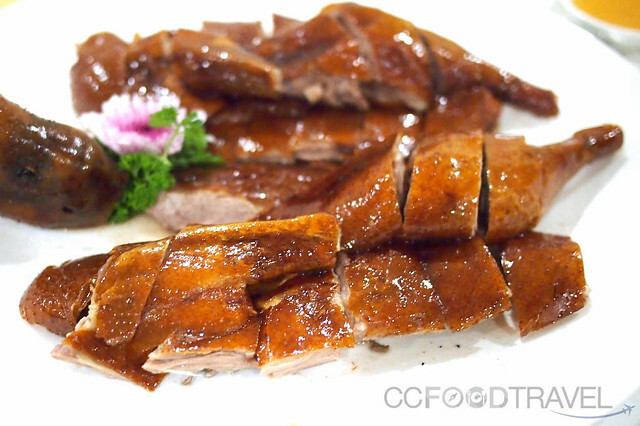 Roasted goose – the most crunchy, sublime skin and flesh, this side of heaven! Buddha Jumps Over the Wall is such a cool dish with a rather apt name. You see, the name actually comes from the story of a monk who walked by a home where someone was cooking this soup. 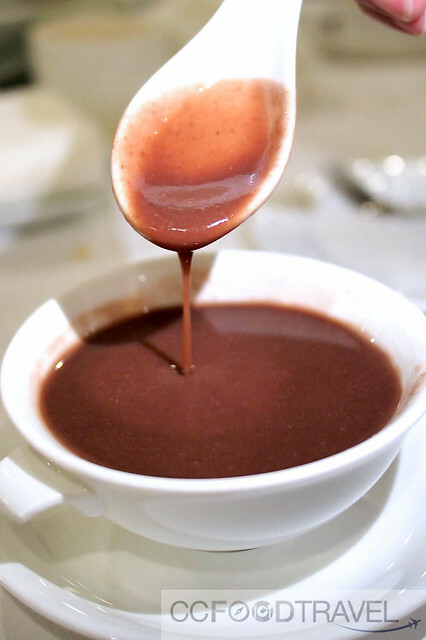 It smelled so good that the monk, though a strict vegetarian up till that fateful day, jumped over the wall to eat some of the heavenly smelling soup. That’s how good the soup was. And the bowl, though deceptively small, but the main ingredients that make up the stock are no less than 15, including chicken, fish maw, abalone, sea cucumber, ginseng, bamboo pith, pork tendon, cartilage, wolfberries, mushrooms, etc etc… It’s so dense with nutrients and flavours that someone remarked that the dinner could have ended right there, and they would have left satiated and happy. But as we all know, that’s never to be the case, when dining at Chef Choi. 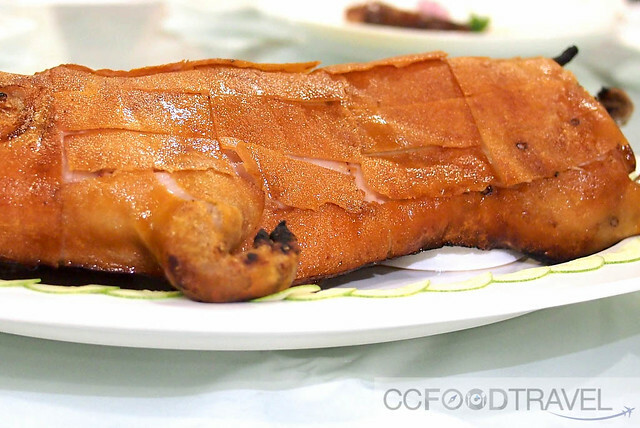 Suckling pig – how can one resist such a delicious dish – The skin was crispy, the meat tender with a thin layer of fat.. 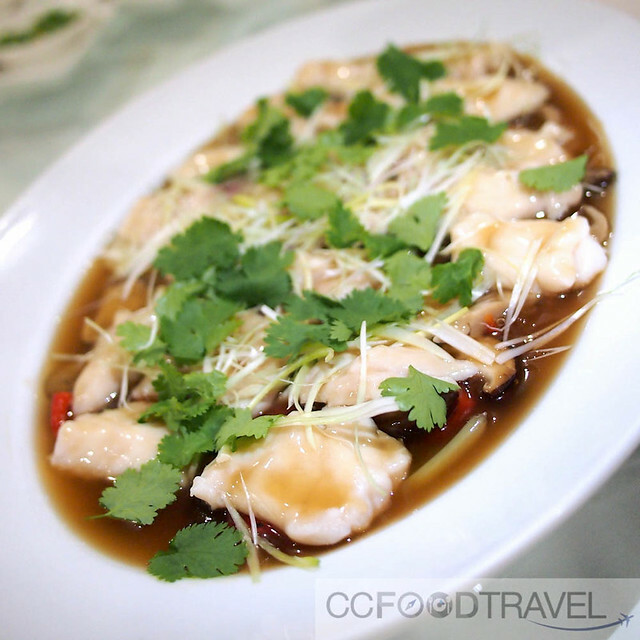 Steamed grouper in Abalone sauce – succulent yet springy flesh of the grouper infused with the heady aroma of abalone. Delicious! 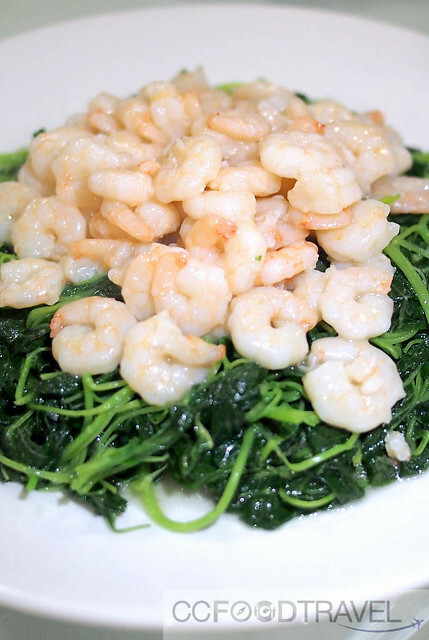 The Fried Shrimps with Spinach Shanghai Style might look a little plain but the bouncy prawns and the crunchy spinach made the dish texturally complete. 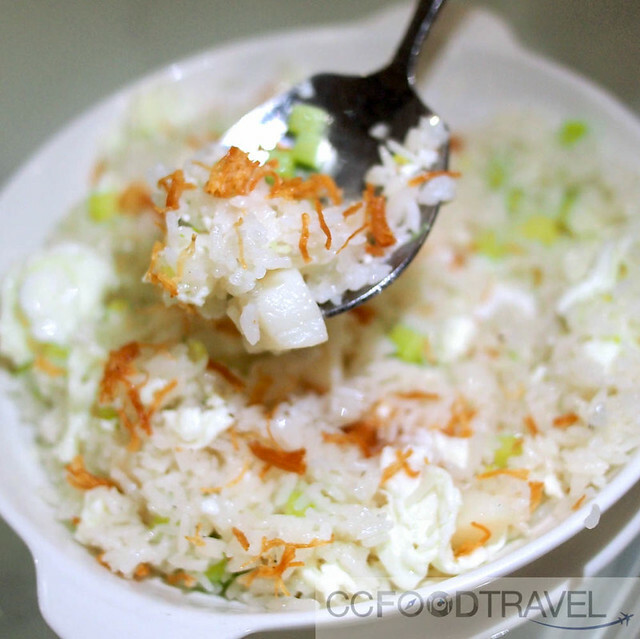 I am officially addicted to Chef Choi’s version of the fried rice – rice fried with egg white, till it’s a stringy consistency throughout the rice, with a lovely crown of fried and shredded scallops, stems of the broccoli, this dish just just too good for words. 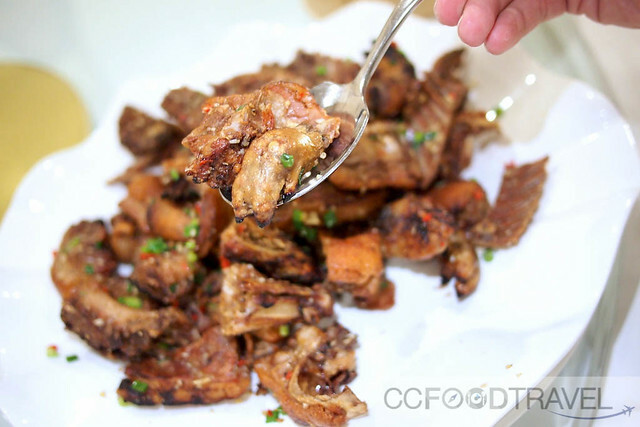 It has a clean look about it (not oily or blackened), and the flavours are clean while being intense as well. Toothsome, hearty, comforting. Mix it yourself, Lap Mei Farn, and my favourite of these are the sausages! 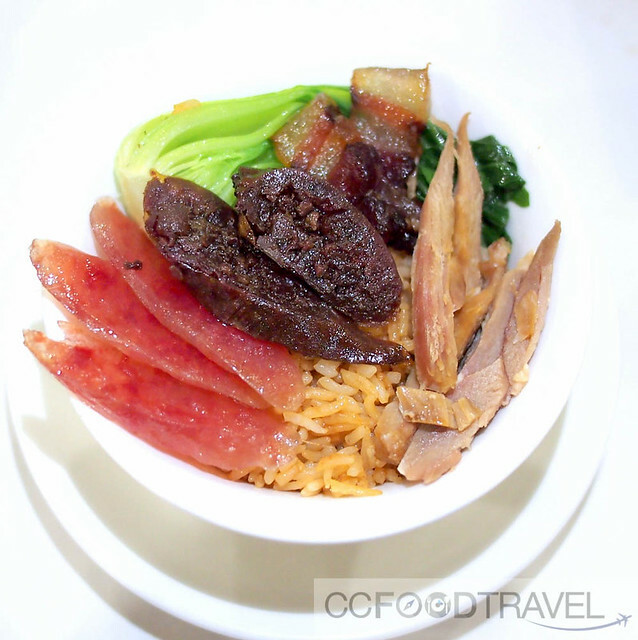 At Chef Choi, Basmati rice is used for this claypot rice flavoured with delicious drippings from aromatic waxed meats, local pork sausages, and goose liver sausages. For me the pork and goose liver sausages overshadow everything else.. and I find myself whacking it all with rice, only too quickly. 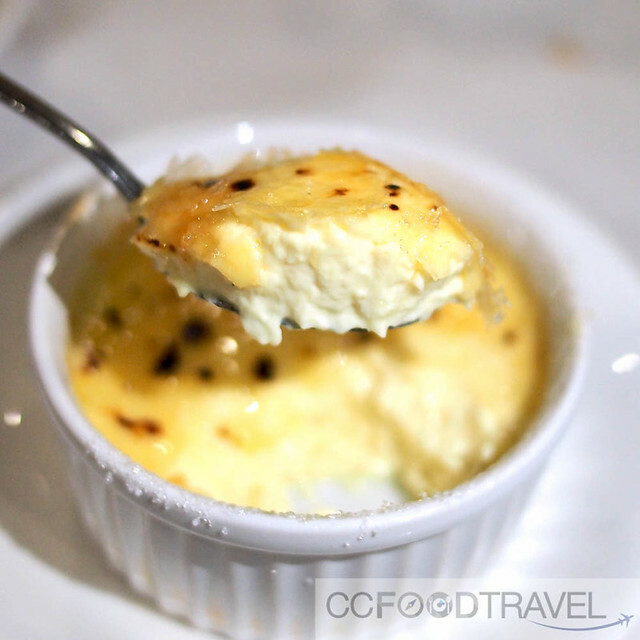 Incredibly eggy, fluffy and smooth, it’s almost like eating pockets of clouds! I don’t really care for the sugar layer,as it’s perfect without. Finally, for desert – the Sweet Red Bean Paste with 18-Year Mandarin Peel. 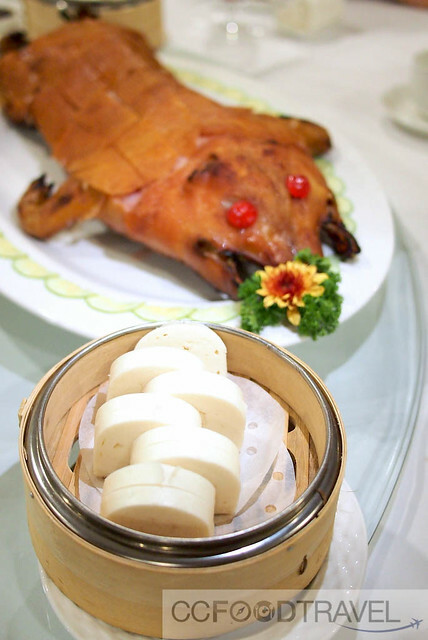 The boiled red beans is usually sieved twice, to render them an even more silky texture, and it was fragrant with intense Mandarin peel. I loved it as it wasn’t sweet but by then, I was too full to finish my bowl. A fabulous, final hurrah with friends of Chef Choi.. we can only wait in anticipation for what lies round the corner – more culinary brilliance, we expect! Baby panggang nya yummy tapi aku tak boleh lah makan ?? 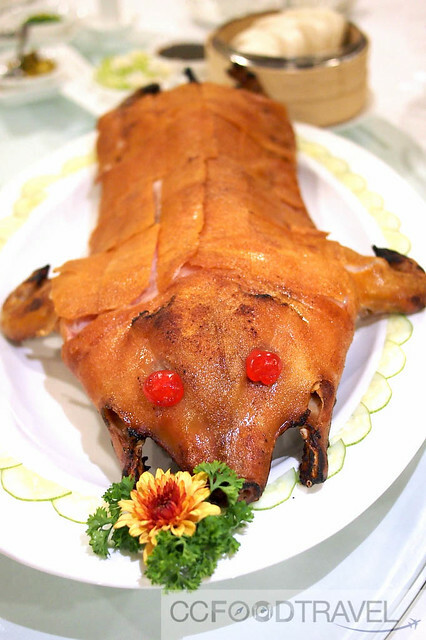 nevermind.. can eat the other stuff.. like goose and fish! Awesome! Try it.. hope it turns out great! I want that suckling pig! Simply irresistible! Yes they make the best ones at Chef Choi!